My one fatal flaw in accepting this Hypable staff challenge was thinking that picking just five books that have stayed with me long after I put them back on the shelf would be easy. Spoiler alert: it wasn’t. After eagerly accepting this staff challenge, I didn’t waste much time in thinking about which books to include on my list. But of course, like many of my fellow staffers who have already completed this challenge, I quickly discovered that narrowing my list down to five books was easier said than done. In the end, after much deliberation, I settled on the five books I knew I wouldn’t hesitate to save in a fire because they were just that important to me. The five books below, which range from classic literature and non-fiction, to children’s books and young adult, may not have much in common with each other, but I do know that they each left a lasting impression on me during the different points in my life in which I read them. Long before I found myself obsessed with bespectacled boy wizards and enamored by boys that bake bread, I was a fan of Sharon Creech. As a kid, she was by far my favorite author and I have vivid memories of devouring every book of hers I could get my hands on. Though my introduction to Creech’s novels came in the form of Walk Two Moons — a book my very stern fourth grade teacher, Mr. Rojas required us to read — I chose to include Absolutely Normal Chaos in my list of top five books that define me because I recall it being my absolute favorite of hers. In Chaos, readers are introduced to the journal of Mary Lou Finney who begrudging begins to document the summer of her thirteenth year as a required school assignment. What starts off as a boring summer surrounded by her crazy family of seven and an odd ball cousin who comes to visit, turns into a whirlwind coming of age tale that is both fun and quirky. At ten years old, this book was not only one of the longest I’d ever read of my own volition, but it was also my first real plunge into the world of realistic fiction. More importantly, even though she was a few years older, Mary Lou Finney was the first fictional character I found I could really relate to and for that, Sharon Creech’s Absolutely Normal Chaos will always hold a special place in my heart. I thought about leaving Harry Potter out of this list completely because I felt like it was a bit of a given for many staffers on Hypable. But the more and more I thought about it, the more I realized that it is impossible to write about the books that define me without including J.K. Rowling’s beloved book series among my list of top five. Like many others, I grew up right alongside Harry, Ron, and Hermione and reveled in their adventures along the way. By far the biggest impact Harry Potter has had on my life is that it introduced me to some of the most wonderful individuals I have ever been lucky enough to know. I met my very best friend in the whole world thanks to Harry and I am forever grateful to Rowling and the world she created for bringing us together. The Catcher in the Rye is definitely one of those books that people either loved or hated– especially if they were required to read it in school. As you can probably guess, I was definitely one of those kids who loved it. As a narrator, Holden is unreliable, arguably unlikeable, and just a bit too pretentious, but I think it was the imperfection of the character that really made him all the more relatable the first time I read Salinger’s book at 15 years old. Like many, I specifically remember being affected by Holden’s fear of adulthood. I remember reading about his irrational fear of change and thinking, “I’m not alone — I’m not crazy — it’s normal to be nervous about what the future brings.” I actually picked up The Catcher in the Rye about a year ago with the intentions of re-reading the book and I must admit, I was a bit weary to do so. I was worried that I had put the book up on this high pedestal because of how much I had loved it in high school– that it wouldn’t end up holding up now that I was older. What I ended up discovering however, was that for as much as I related to certain aspects of the book when I was younger, I found myself relating to others in re-reading it almost ten years later. It is because of this that I have included The Catcher in the Rye among the five books that define me. It may seem silly to some of you reading this for me to rank Twilight up there with classics by Hemingway and Salinger but the truth of the matter is, no book on this list has done more to further my career in journalism than Twilight has. I first discovered Twilight in January of 2007 and like many, I found myself unable to walk away from the book until I had read it cover to cover. From there it was pretty much a downward spiral and somehow, a year later, I found myself reporting on news for the series on a site called TwilightSource. This was something I kept mainly under wraps as I considered my work on TwilightSource (and later as a co-host on Imprint Podcast) as a nerdy hobby best kept to myself. It wasn’t until I found myself talking to my journalism adviser, Yumi Wilson, that I realized just how unique and valuable my experience reporting on Meyer’s series was. Had I never picked up Twilight and gotten involved on TwilightSource, I never would have discovered my passion for entertainment journalism. 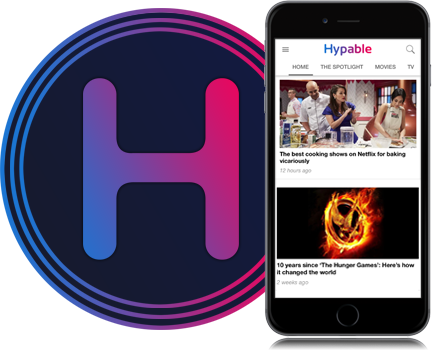 Most importantly, I never would have gotten the opportunity to write about entertainment news and fandoms that I love for sites, like Hypable, that I have a great deal of admiration for. Confession: I have an unashamed ongoing love affair with the works of Ernest Hemingway. His writing may seem dense and long winded to some but for me, all the detail he managed to pour into his work only seems to enhance the reading experience. There is no better example of Hemingway’s ability to transport the reader into the story he’s weaving than in A Moveable Feast — an autobiographical account of his time living in Paris in the 1920s alongside the likes of Ezra Pound, Gertrude Stein, and Zelda and F. Scott Fitzgerald. As a writer of many things, I have always found myself incredibly inspired by Hemingway and his attention to detail. His ability to transport the reader to a specific time and place — to make them feel as though they’re drinking good wine and eating warm bread right along side him in those dingy Parisian cafes — is something that I aspire to do in my own writing on a daily basis. What are some of the books that have had a lasting effect on you?